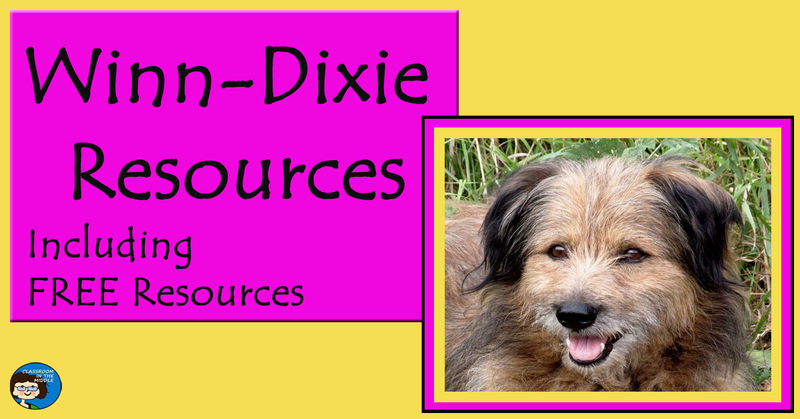 This novel study for Because of Winn-Dixie includes chapter questions, a before reading activity, main idea and details activities, context clue activities, inferencing activities, and a follow-up activity. 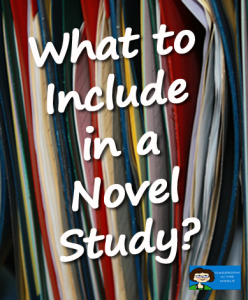 Questions are text dependent and written specifically for this novel. 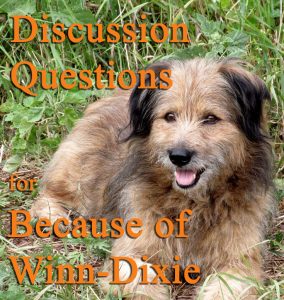 There is one page of text dependent questions for every two chapter of Because of Winn-Dixie, the novel by Kate DiCamillo – a total of thirteen pages of chapter questions. 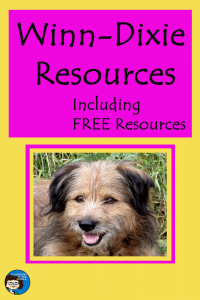 Each page has eight questions including main idea and detail questions, context clue questions, and inferencing questions with space for students’ answers. 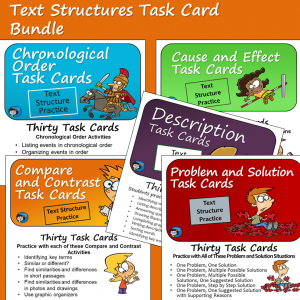 These can be used for interactive notebook pages or for chapter assessments of these important reading skills. 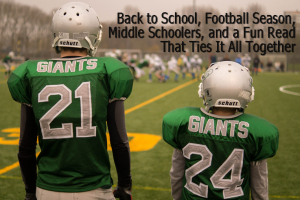 The three main idea and details activities include a character map for Opal, a setting activity, and a plot map activity. The two context clues pages include locating context clues to define words, choosing the best definitions, and defining vocabulary that is unique to the story. This image shows one of the pages of chapter questions. 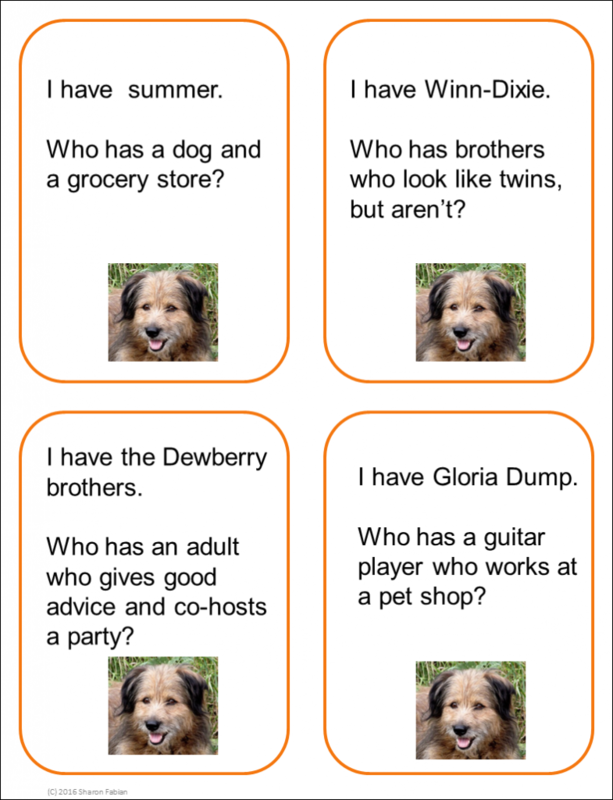 This card game features review questions for Because of Winn-Dixie and consists of 28 question cards, plus 4 blank cards so that you can write in your own questions if you wish. 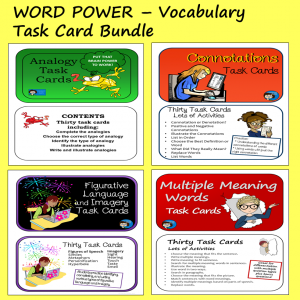 The cards are arranged 4 to a page, and directions and an answer key are included. 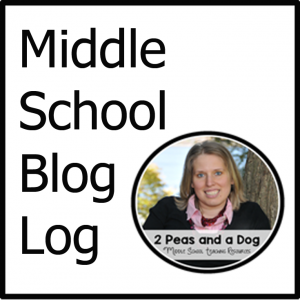 “Opal’s Summer Scrapbook,” a FREEBIE, is another fun way for students to review events and characters from the novel. There are two activity pages. The first page provides images of items from the story, such as a red dog collar and pink and orange party streamers, and asks students to write entries to fit each one that Opal might have written in a scrapbook about her first summer in Naomi. The second page provides photo-shapes for students to draw their own images of the main characters with space to write their captions. 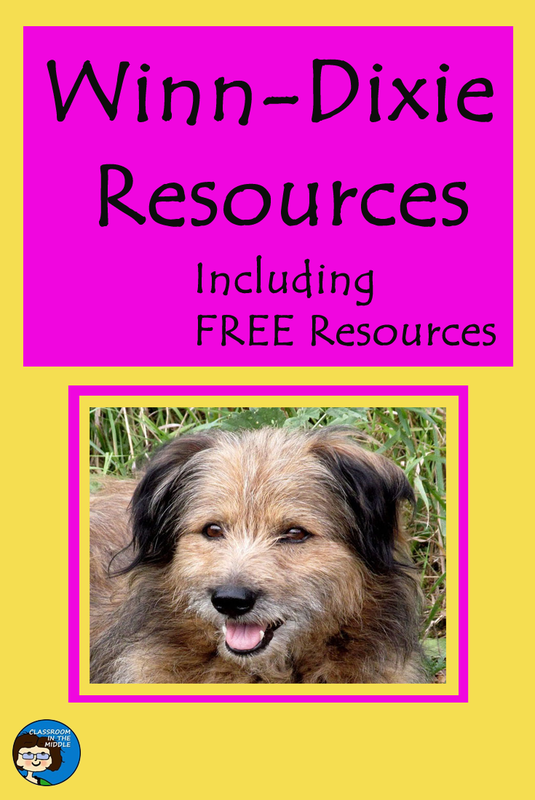 One more free resource is a list of discussion questions, which is in a previous blog post. You can see it linked below.